Jennifer O’Connell is an interior and still-life painter with over 10 years of professional gallery representation. She has exhibited in many U.S. cities including New York and Washington DC. O’Connell grew up in Upstate New York. 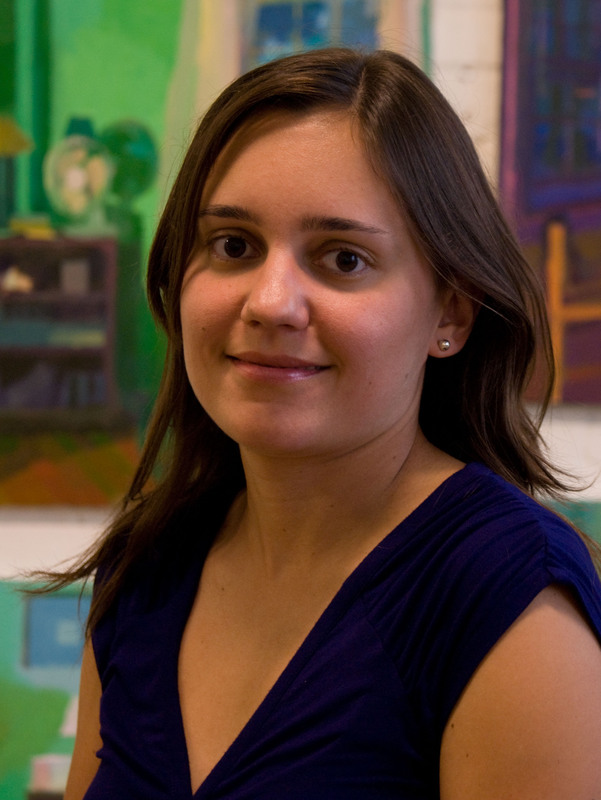 She holds an MFA degree in painting and drawing from the University of New Hampshire and a BFA from SUNY Plattsburgh. Additionally, she studied visual art at Radford University in Virginia and at the University College Chester in England on a Giltz Family Travel Award. After receiving her MFA, she was invited to exhibit in Young Talent at Washington Art Association in Washington Depot, CT. Since then, she has been the recipient of numerous awards including an Elizabeth Greenshields Foundation Fellowship, a Vermont Studio Center Artist Residency Grant, and a Massachusetts State Cultural Council Grant. She has led public lectures and participated in panel discussions on the East Coast. Visiting Guest Artist Lectures include Barton College in North Carolina and SUNY Plattsburgh in New York. Her exhibition record includes national and international shows at Fraser Gallery in Washington, DC and the Bowery Gallery in New York, NY. In 2008, she was selected by juror Cynthia Reeves for the New England New Talent exhibition at the Fitchburg Art Museum in Fitchburg, MA. In 2011, she was invited to exhibit her work at the College of William and Mary in Williamsburg, VA. In 2012, she was included in an exhibition at Saks Galleries in Denver, Colorado. She has been included in publications such as Art New England, Artscope, and Southwest Art Magazine. In 2013, she was awarded third place in The Artist’s Magazine National Competition by still life painter, Amy Weiskopf and interviewed about the selected artwork. In 2014, O’Connell was profiled along with many of her paintings in the book Contemporary Cape Cod Artists: People and Places by Deborah Forman. An exhibition of some of the works included in the book took place on the Cape in 2014. In 2015, O'Connell was juried into Oil Painters of America and was selected by artist Calvin Liang to be included in the Oil Painters of America Salon Show at Beverly McNeil Gallery in Birmingham, Alabama. That same year, she was selected by Stapleton Kearns and Pamela Pindell to exhibit with The Guild of Boston Artists. Galleries that represent O’Connell’s work include Adam Cave Fine Art in Raleigh, NC and Left Bank Gallery in Wellfleet, MA. O'Connell currently divides her time between her studio and The Eric Carle Museum of Picture Book Art in Western Massachusetts.